I love Elance, it was good to me when I was freelancing, and I have found many specialists for it over the years to help me in a variety of tasks. I’ve recently been hiring quite regularly freelancers through it, and it’s sometimes hard not to get frustrated by some of the proposals, which make very easy mistakes. Look, I understand job seeking is time consuming, but this lack of attention sets up a warning flag to me. Including broken links when providing examples of past work. Again, this isn’t reassuring. Make sure you check the links are still active and refresh them on a regular basis. Not all of your work will be appropriate for each job either – try to select those that will be a good match. Tip: hyperlink them, it'll save the recruiter a few seconds and earn you some goodwill. This one assures you that they can do the job, but isn’t backed up by a portfolio or any proof that this is the case. This is often accompanied by the request that you contact them on Skype. What is the incentive for the recruiter to waste time on Skype with someone when they don't know if they are actually good? Generally this consists of unbroken text, with a million links (many broken). It’s essentially unreadable. Now, the reason why I’m ranting is because many of these proposals are made by people who are probably quite good at their job. They are missing out on opportunities by not spending a few more minutes on their proposals. Taking into account their brief and tailoring your copy and paste appropriately. Updating your portfolio or linking to examples of your work. Checking the links you include. Essentially, it’s not enough to state ‘I can do this’. 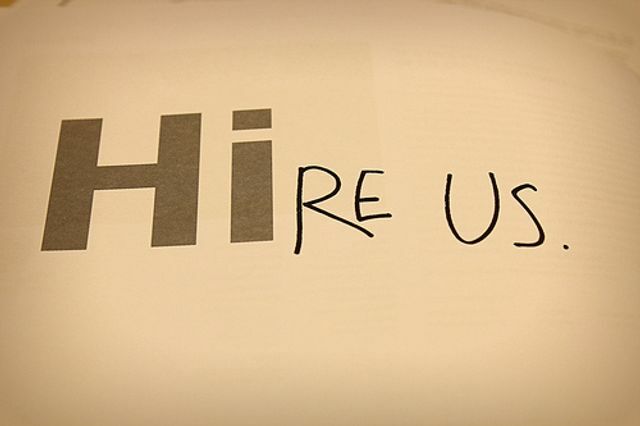 The hirer doesn’t know you, so show them as succinctly and powerfully as you can that you are the best person to hire. p.s. Avoid 'Dear Sir' as a standard greeting. Sales vs Marketing: Must it be a Fight? How do different cultures "think?"